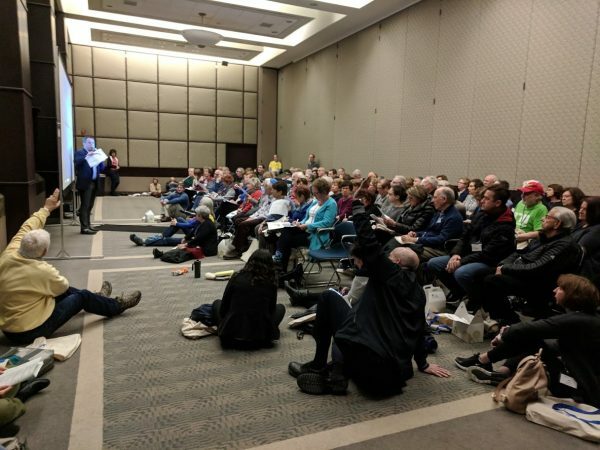 As part of My Jewish Detroit’s occasional series In Case You Missed It (ICYMI or, as is often the case, icyMI), Dexter Davison provides a snapshot of just some of the 70+ sessions from the 4th Annual Limmud Michigan. An embarrassment of riches! The depth and dynamism of local learning at Limmud is remarkable. The presenters’ intellectual rigor, zealous advocacy, creativity and humor were reflected back by the participants. 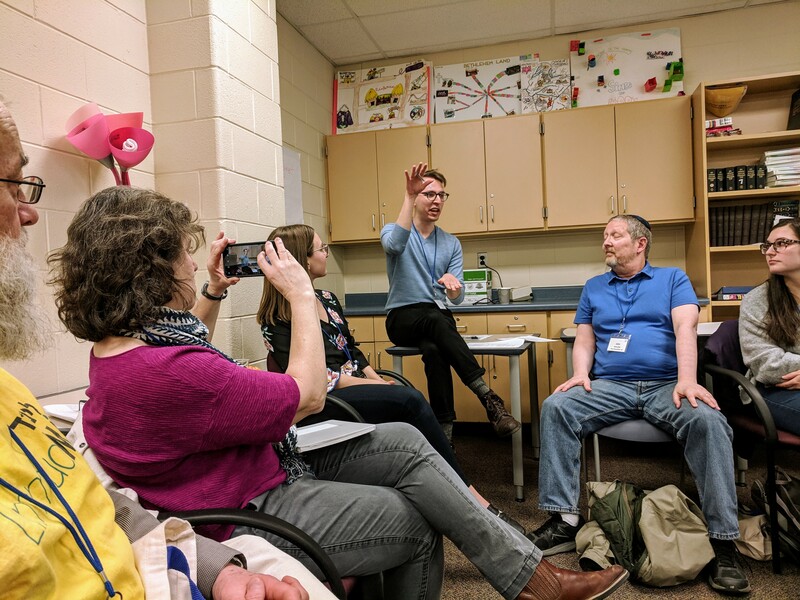 I’ve included quick look at each of the sessions I attended — as well as some where I had to settle for being there in spirit — though I can hardly do justice to all the thought-provoking content and edifying engagement. Suffice it to say, this is not a top ten list. My advice is to get there in person next year. Or better yet, volunteer. What: Fantastical creatures abound in the world’s folklore. Dragons, faeries, imps, ghosts, genies and such fill stories and myths. Yet, Judaism tends to downplay the role of such creatures in its religious life. Despite this, wonderful and terrible creatures abound in Jewish folklore. A tremendous unicorn, a temple-making magical mite, and terrible sea monsters rivaling G-d all abound in Jewish folklore. Dexter’s Take: I will never think about unicorn’s the same way again. What: Two issues pertaining to the phenomenon of Anti-Semitism: the similarities and differences between right-wing and left-wing Anti-semitism; and the fine line between Anti-Zionism/Antagonism to the State of Israel as a form of post-racial Anti-Semitism, on the one hand, and criticism of the State of Israel that is not Anti-Semitism, on the other. “Let no American imagine that Zionism is inconsistent with Patriotism. Multiple loyalties are objectionable only if they are inconsistent. A man is a better citizen of the United States for being also a loyal citizen of his state, and of his city; for being loyal to his family, and to his profession or trade; for being loyal to his college or his lodge. 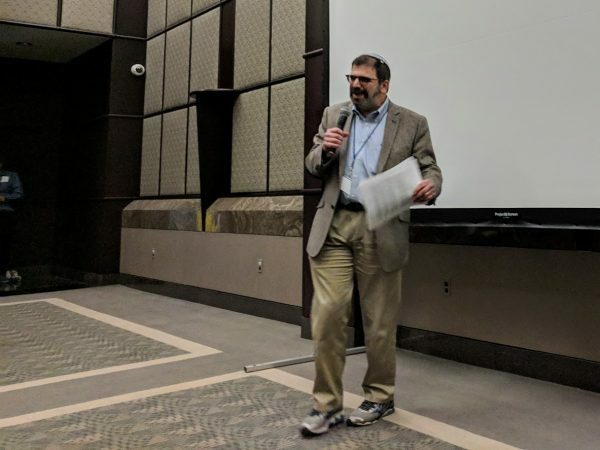 Dexter’s Take: Howard (first names/no titles at Limmud) gave us useful concepts and context for for untangling what just might be the knottiest issue imaginable. With sources ranging from Wagner to the Hamas Charter to Cornel West, Howard encouraged us toward nuance and proportionality in understanding and responding to Anti-Semitism. 3. The Tax Foreclosure Crisis in Detroit: What is it and why should I care? What: What’s the deal with the tax foreclosure crisis in Detroit? Is it even still a crisis? Why should Jews care about this issue? In this session, we will learn about the tax foreclosure crisis as it stands today, the problem of housing injustice in Detroit, the ways in which Detroiters can be helped to stay in their homes, the scope of the problem of tax foreclosure, how it is unconstitutional, and the ways in which this is a Jewish issue. Dexter’s Take: Tax foreclosure touches every neighborhood in Detroit, ripples beyond the city limits and, most importantly, robs children of the stability they need and deserve. Lauren and Gabe drew on their outstanding work with Detroit Jews for justice to put this broken system into a historical, regional and political context. 4. In the year 2525, if man is still alive, will Jews survive? What: In 1969, Zager and Evans, in a number one song, wondered if man would still be here in the year 2525. In 2013, the Pew Research Center completed a major survey of American Jews in which they assessed the condition of the American Jewish community. So in the year 2019, we look at the Pew survey and see both reasons for hope and reasons for concern as to the long-term future of American Jews. Some data from the recently completed study of Detroit Jews is included to highlight factors on which the Detroit Jewish community differs from the national picture. What: In November 2018, we joined our rabbi and faith leaders from all over the country in protest outside of the detention center for unaccompanied minors in Tornillo, Texas. Understanding that, as Jews, we are commanded to welcome the stranger, we felt compelled to demonstrate, bear witness, and use our voices to urge our elected officials to end the practice of child detainment and shut this facility down. As Jews, and, more broadly, as concerned humans who understand that “never again” means that we must stand up in the face of injustice, we felt compelled to witness that which was being done by our government and use our privilege to protest that which we find unjust. In this session, we share our reflections on our experiences at Tornillo (and in El Paso and Juarez) as well as ideas for future action. 6. Facing Our Fears: Intermarriage, Identity and Israel – Oh My! What: The Jewish community is afraid of many things – Israel conversations, intermarriage, the continuity crisis, the future of Jewish communal institutions, and more. Without acknowledging these fears, our decisions can be irrational, and to create a stronger Jewish community we must create space to process and understand these fears personally and communally. 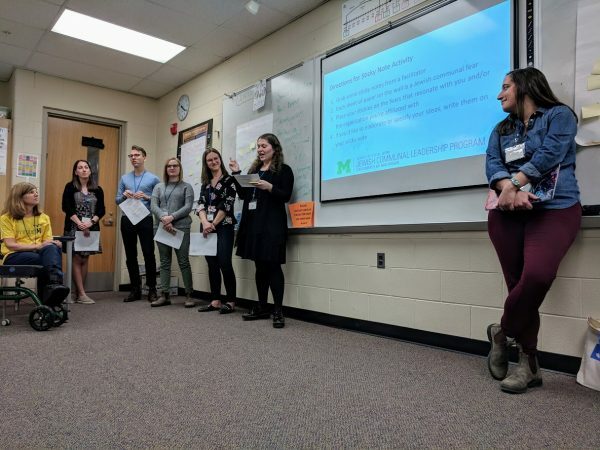 As social work students we seek to analyze why and how we talk about our fears, and how we can transition from conversations of fear to those of hope which will create a stronger vision for the Jewish future. Dexter’s Take: Powerful session. Upon entering the room (thank you, Frankel Jewish Academy for hosting), we received sticky notes and could place them under the things that we fear for the Jewish people. 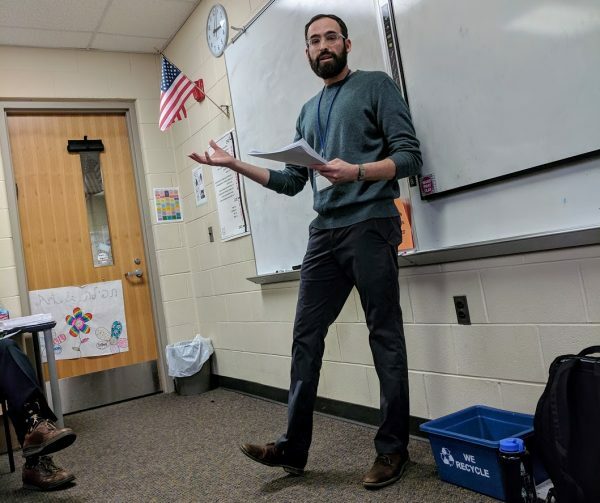 With the social work students as our facilitators, we acknowledged the validity and power of fear as an emotional response — and the consequences of making fear-based decisions. Then we explored strategies for responding to an reframing our fears. 7. Civil Discourse between People Who Totally Disagree: Is it Possible? What: Why should people who are different in political views or religious views, or from totally different backgrounds get together and try to connect through Civil Discourse? Asher Lopatin will make the case that not only is this exactly what America needs, but also that this is the way to strengthen our communities and civic structures: we have to come together, we have to find a way of partnering and even enjoying each other’s fellowship even if we may be totally different on critical issues or attitudes. Come here and argue (civilly, of course) and let’s figure this out. Dexter’s Take: Asher has only been in Michigan eight months and, in that short time, has developed strong relationships in the Muslim community. He explored historical precedents for going it alone (sorry, Samaritans) and for working together (pre-polygamy Solomon), reminding us that the same freeways that can get us home in a hurry can also ferry us to Dearborn, Hamtramck and other corners of our community we might otherwise bypass. 8. 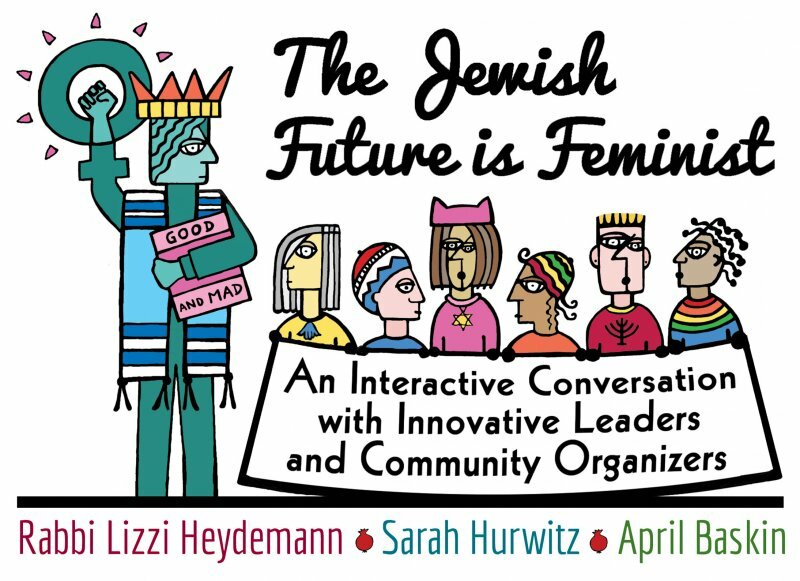 How Jewish is Feminism? What: While the history of the American women’s movement of the 1960s and 70s is generally recounted with little reference to Jewish identity, some observers note that most leading feminists of that era seem to have been Jewish. Indeed, although it’s easy to locate influential Jewish feminists, few of them emphasized their Jewish identity at the time. This session will look at the erasure of Jewish identity both by historians and by those who sought to join what they saw as a universal struggle for liberation. It will then take up the question of what might be learned if we began to look at the history of feminism through a Jewish lens. Dexter’s Take: It’s fascinating to explore the Jewish seeds that are part of sprouting social and political movements, even (or especially) when popular narratives downplay the Jewish influences or identities of movement leaders and participants. Appropriate for Karla to take a historical perspective following “The Jewish Future is Feminist,” a communal conversation hosted by her second year Jewish Communal Leadership Program students last month. What: The Jewish people have, throughout its history, been primarily migratory. Almost all major figures in Jewish tradition have physically migrated as a result of divine intervention (from slavery), famine, political instability, persecution, and/or economic opportunity to name a few reasons. Over successive millennia, Jews have migrated the world over for similar reasons. We will briefly examine Jewish migration from historical and halachic perspectives so as to explore more deeply the current experiences of migrants in the United States (and Israel). 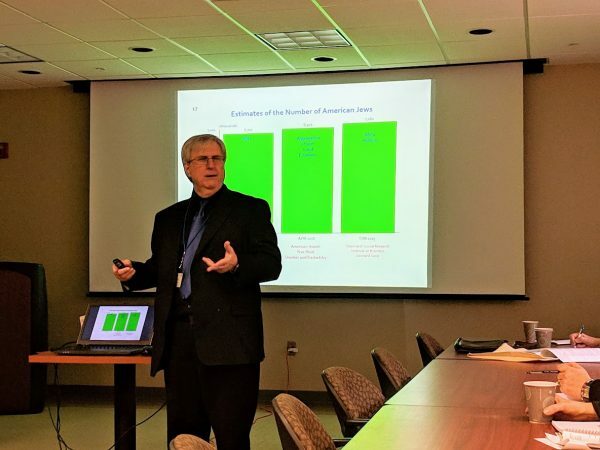 Dexter’s Take: In the 11 years since the federal raid on Agriprocessors kosher slaughterhouse and meatpacking plant in Postville, Iowa — the largest immigration raid in US history — issues about where law, ethics, market forces and geopolitics intersect have only gotten more complex. Ruby recommends this Univision documentary for a look at the legacy of Postville. Dexter’s Take: There would be no Dexter Davison without Dexter-Davison. Special thanks to all the volunteers who make Limmud possible and to the presenters who allowed their materials to be shared here. 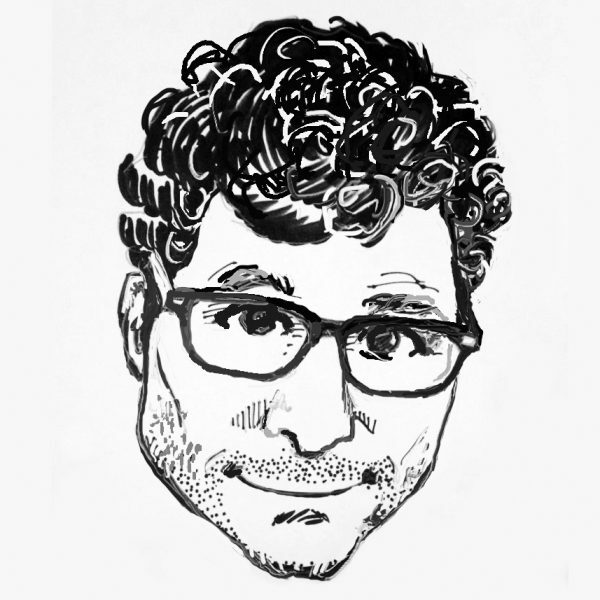 Dexter Davison is the nom de plume of local writer and nonprofiteer Ben Falik.